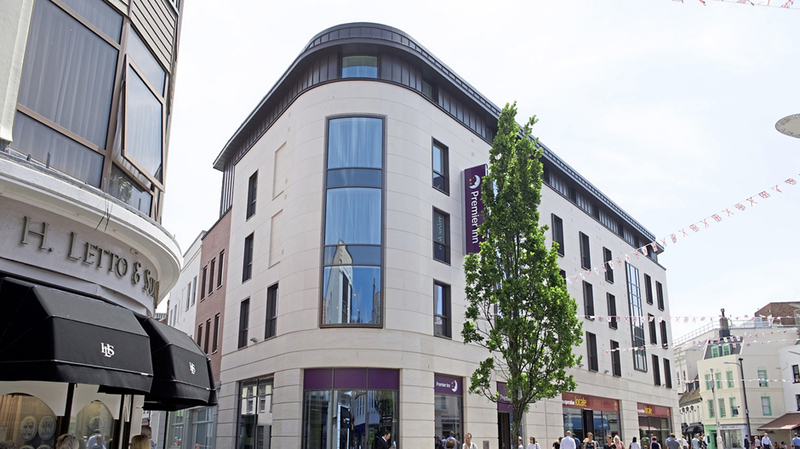 Travellers have another choice of modern, smart accommodation when they visit Jersey’s capital, with the opening of the island’s first Premier Inn in St Helier earlier this year. 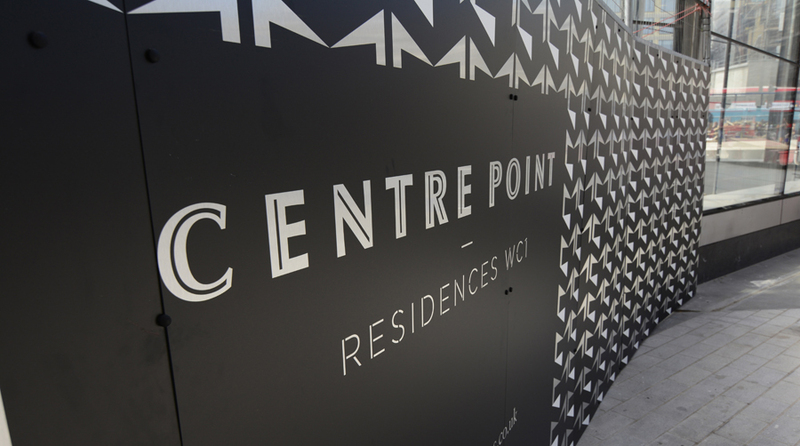 The four storey 91 room hotel, situated at the busy Charing Cross interchange near the town centre, features some distinctive external cladding in addition to a well-thought-out roof design. 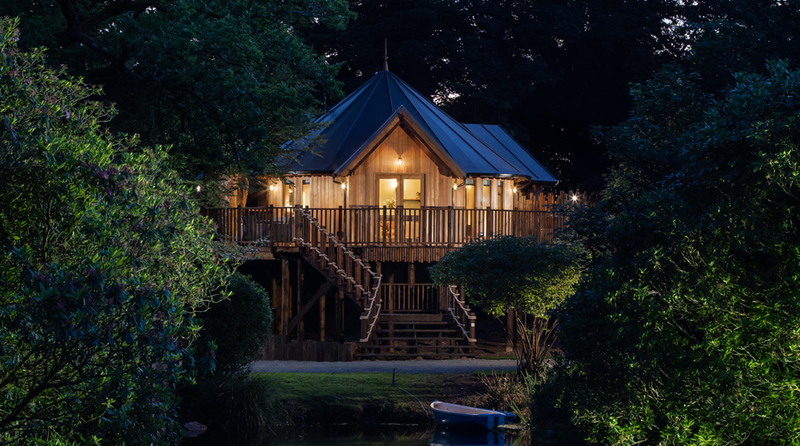 SIG Design & Technology worked closely with Camerons, a 61-year-old Jersey-based chartered building company in the development of the new-build hotel’s roofing and cladding specification. 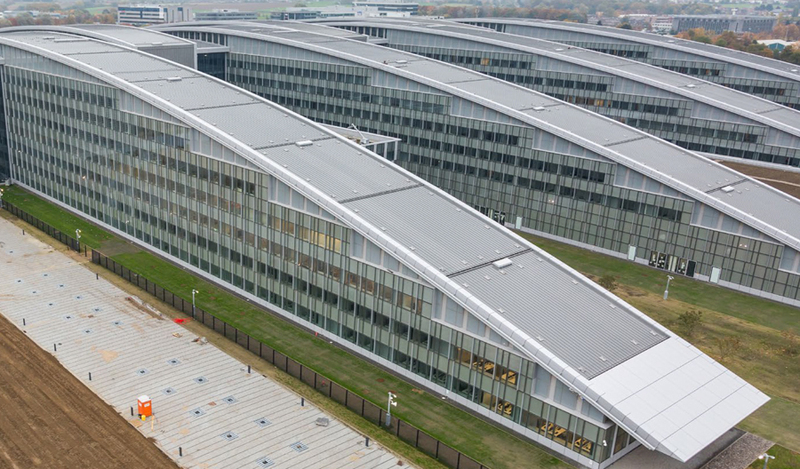 SIG Design & Technology (SIG D&T) followed their eight-step design and build process, #perfectroof, from product selection and roof design expertise through to complete guarantees and planned maintenance. 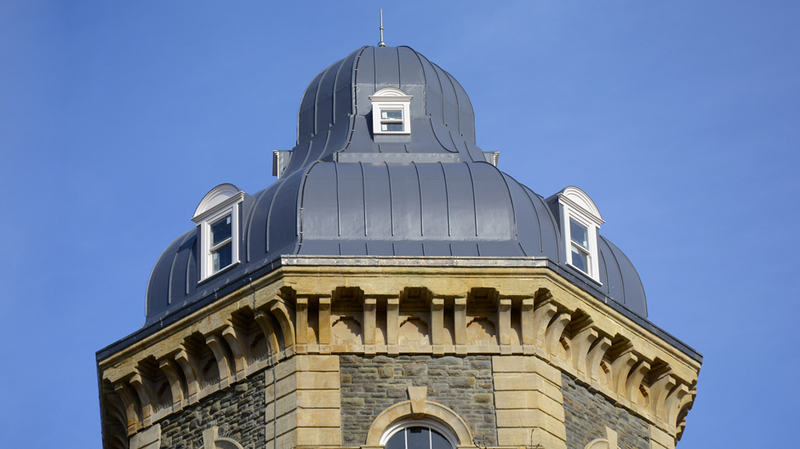 Once the client brief was established, SIG D&T’s Specification Manager Christa Coe and Technical Support Manager Paul Jacobs worked together to develop the roofing specification. 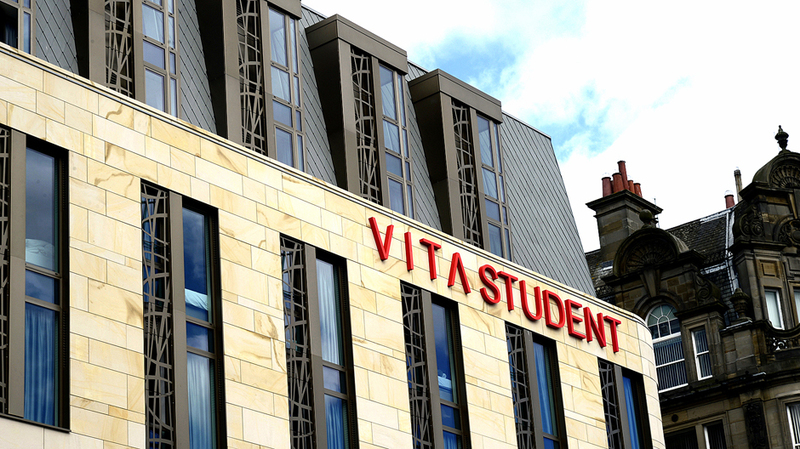 Four roofing and cladding systems were selected. 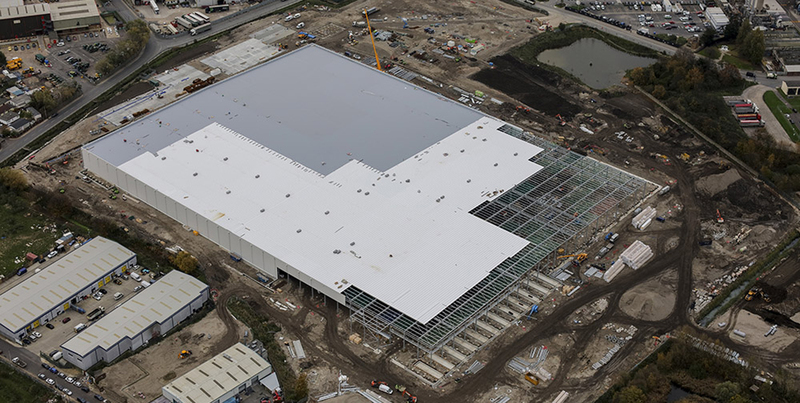 IKO’s Armourplan PSG system was chosen to waterproof 800 m2 of the main roof area. 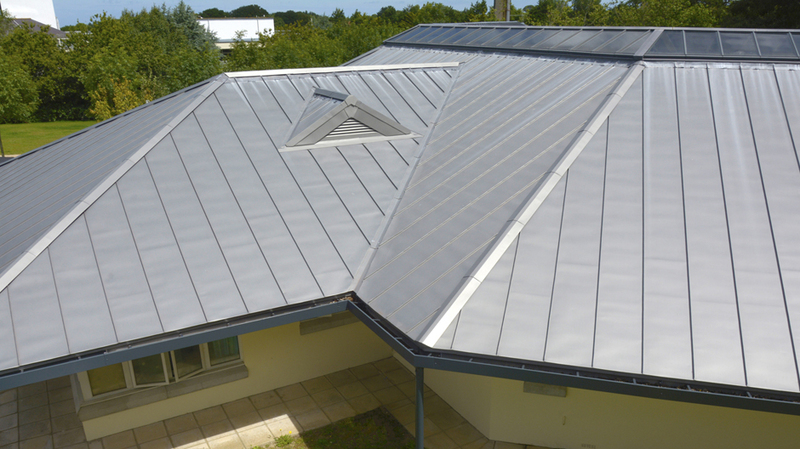 Armourplan PSG is a glass tissue reinforced polyester fleece backed PVC membrane suitable for use in a wide range of single ply roofing applications on both flat and sloping roofs. Armourplan PSG offers enhanced mechanical properties over standard PVC membranes and is completely UV stable throughout. 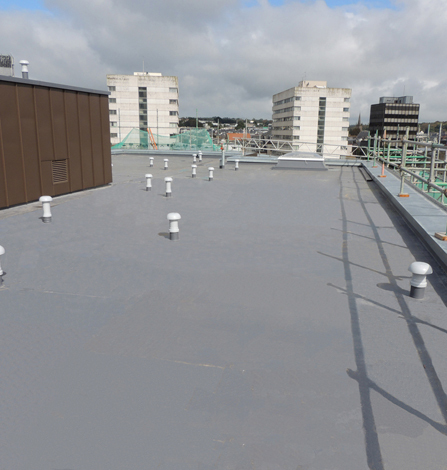 SIG D&T recommended the user-friendly, AH-25 liquid waterproofing for detailing the flat-roofed areas with H-beam sections. AH-25 is an innovative, low-odour, one-component product which is cold applied. It is fully reinforced with polyester fabric, offering excellent elasticity and tensile strength. A key feature of the Premier Inn is the 80 m2 green roof which is overlooked by the hotel’s restaurant. 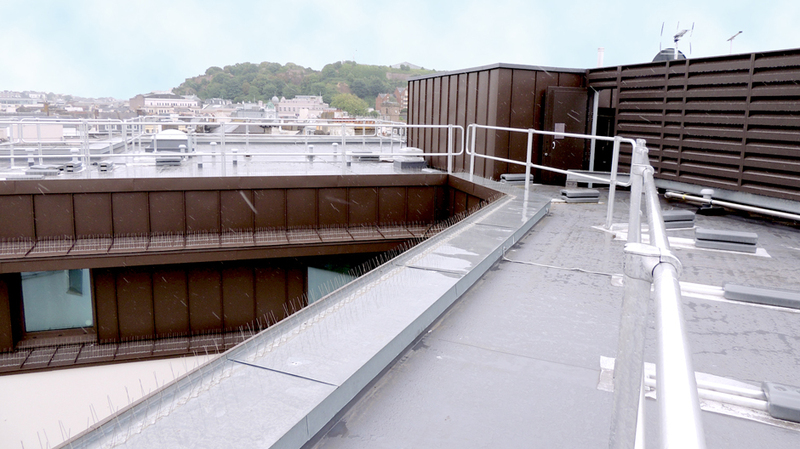 The sedum green roof was installed over FDT’s Rhenofol CGv single ply membrane waterproofing and a concrete deck. Rhenofol CGv has been tested to meet FLL standards and is resistant to roots and rhizome penetration. 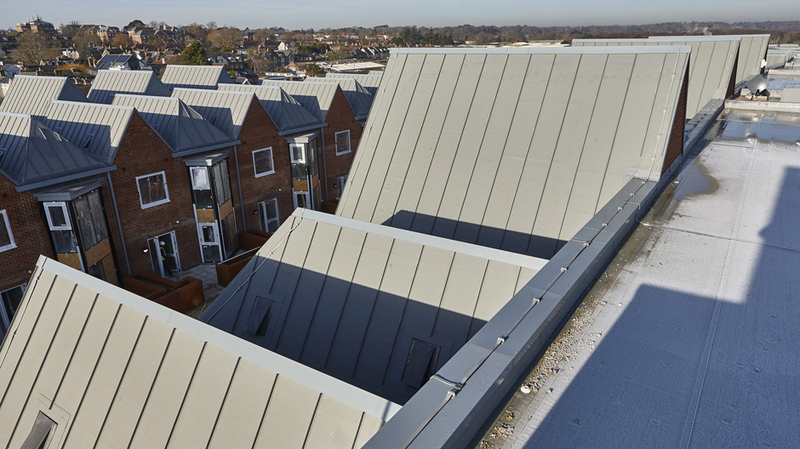 All flat roofing elements were installed by SIG Design & Technology’s accredited contractor, K.A. Bailey of Jersey. 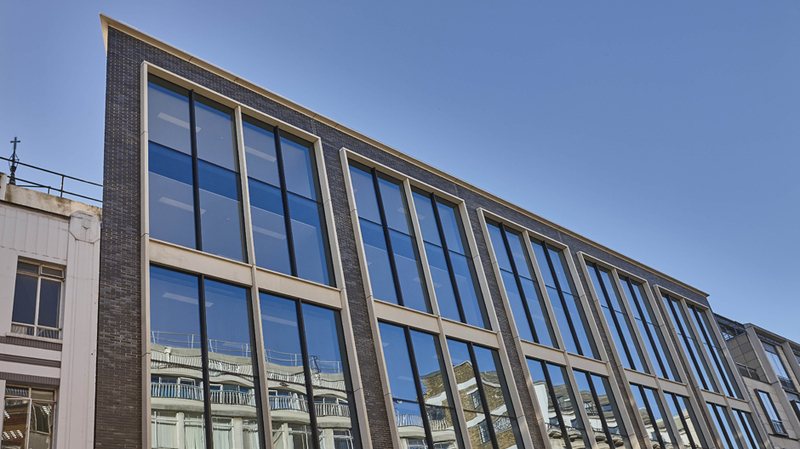 The upper storey fascia including around the window frames of the building was clad using 1600m2 of elZinc in rainbow brown. 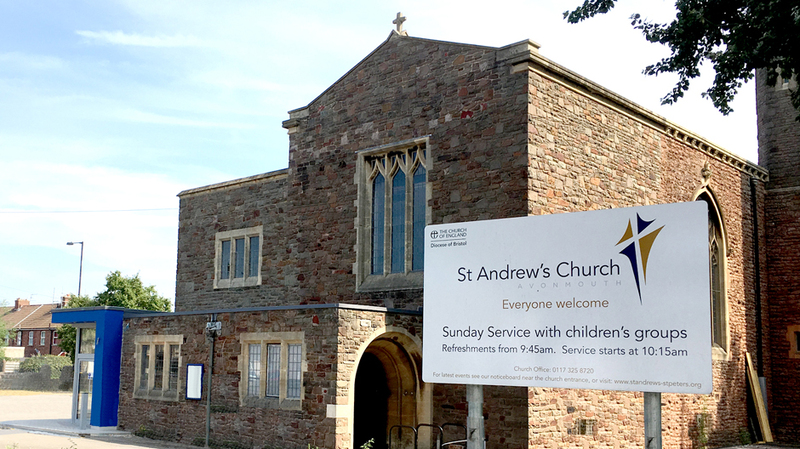 Installation was undertaken by Bristol-based Boss Metals, also a DATAC accredited contractor. 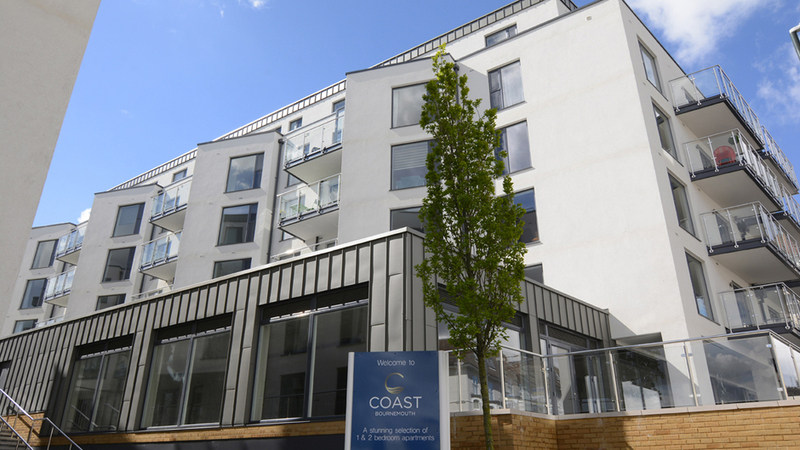 A distinctive and practical choice, elZinc is self-cleaning; a bonus in a marine environment where UV rays, prevailing winds and the acidic content of seagull guano can damage a building’s external finishes. 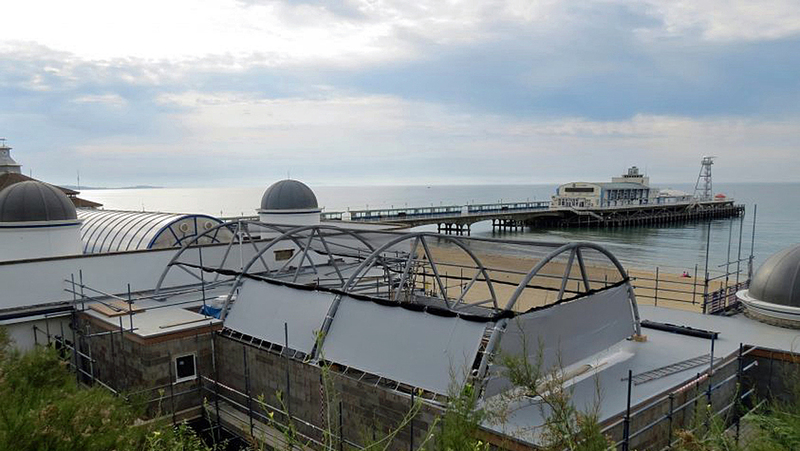 SIG’s Zinc & Copper’s Business Development Manager Paul Cousins supervised the installation of the elZinc during a number of site visits, including overseeing the detailing work where the zinc interfaces with the single ply. Now, 25-year warranties for Armourplan and AH-25 liquid waterproofing and 30 years for elZinc and Rhenofol are in place. “SIG Design & Technology is a well-rounded company with multiple product expertise across both flat roofs and metals. 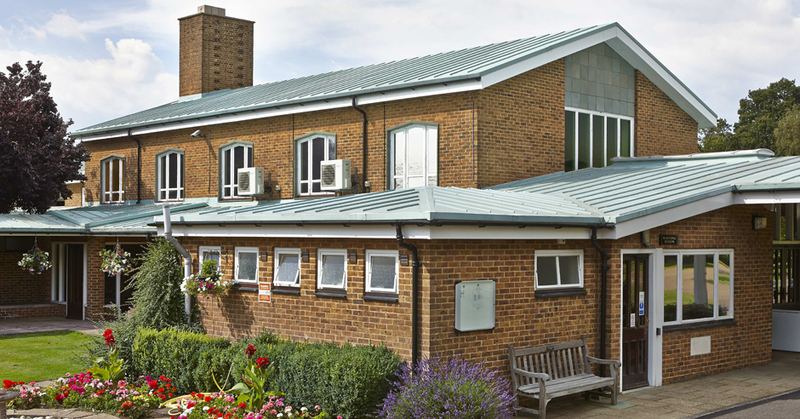 We benefitted from their full-service comprising their in-depth of knowledge of roofing design and access to the SIG supply chain. 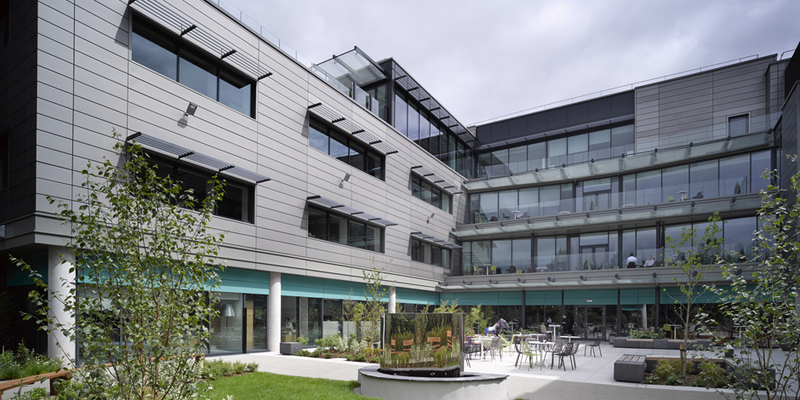 We were confident in the appointment of SIG’s specialist accredited contractors. On site, regular guidance and inspections enabled the installation teams to complete all works to warranty standard.